LCD digital display enables three FHR modes: Real-time, averaged heart rate, and a manual mode that allows the user to view the average fetal heart rate for a 5 or 10 beat period. 2MHz water-resistant probe provides clear sound, and probe can be submerged in water up to 3 feet for up to 5 hours. 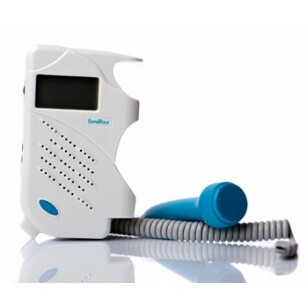 The SonoTrax Fetal Doppler is a premium, easy to use ultrasonic fetal doppler that allows mothers and health care professionals to retrieve and listen to fetal heart rate (FHR) in expectant mothers. 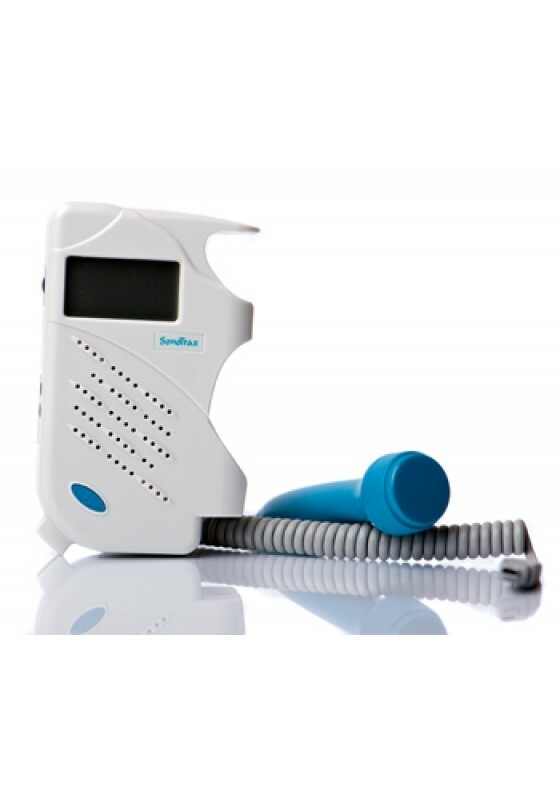 The SonoTrax provides multiple heart rate mode parameters modes including a real-time fetal heart rate display, averaged fetal heart rate, or a manual mode that allows the user to view a fetal heart rate period of 10 heartbeats, giving you a calculated measurement with the press of a button. This Fetal Doppler inclues standard features, with an LCD screen displaying heart rate values, a battery indicator, probe type, and different display modes. The Water Resistant Probe provides better ultrasounds of fetal heart beat and allows use in water up to 3 feet for up to 5 hours. Doppler unit, however, cannot be immerged in water..